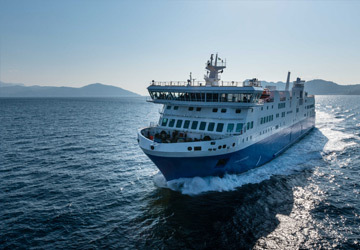 The Palma Denia ferry route connects Mallorca with Spain. 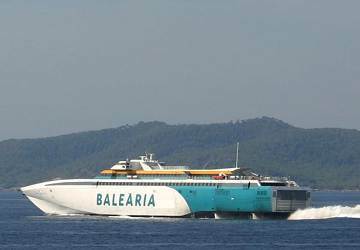 Currently there is just the 1 ferry company operating this ferry service, Balearia. The crossing operates up to 21 times each week with sailing durations from around 5 hours. Palma Denia sailing durations and frequency may vary from season to season so we’d advise doing a live check to get the most up to date information. Prices shown represent the average one way price paid by our customers. The most common booking on the Palma Denia route is a car and 2 passengers. I loved it. It'd been a long time since I did this route and it was spectacular. I wouls only add that the users are not very civic and they don't follow the cleaning norms. "a crossing between Palma and Denia"
The crossing and pleasant, but a bit long because of a stopover in Ibiza.The boarding portal to Palma could be better signposted. 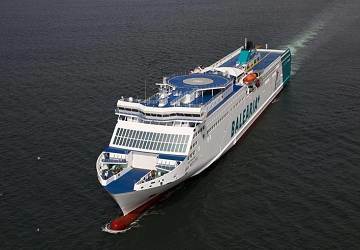 "Ship (Federico Garcia Lorca) looked better from outside"
Timely departure, but late (+30 min) arrival. Some staff members are rather rude. 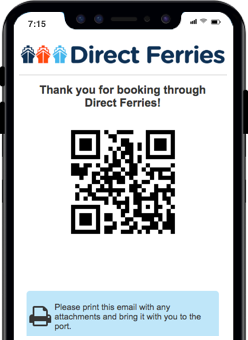 We had a good trip from Palma to Denia, all went to plan, one question is there anyway you can print your tickets off as I booked it all online then had to wait in line to get our boarding passes, but a good service other than that.